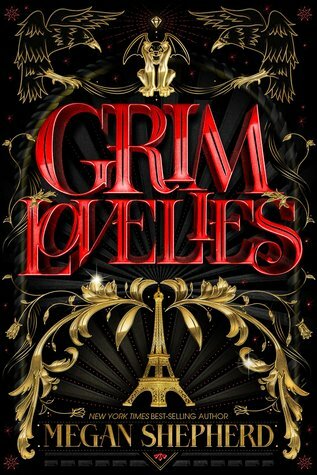 Grim Lovelies was hands down one of my favorite YA reads of the year. The setting and pace of the novel were spot on and it was so different from anything I've read before. The characters were a lot of fun and the world building was incredible. I could practically see Paris from my seat on the sofa. This novel had so many wonderful qualities, but I think one of my favorites was the face that the characters were in a race against time. That aspect added even more suspense to the novel and made me keep flipping page after page. I think I said "one more chapter" about 20 times! I also really loved all of the unique characters and the personality that they brought to the novel. 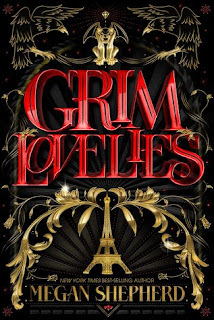 All in all, Grim Lovelies was an enchanting and charming read that I would highly recommend to readers who enjoy YA fantasy. It held me captive from start to finish and I can't wait to see what Shepherd has up her sleeve for the second installment. Thank you to HMH Books for Young Readers and NetGalley for sending a copy of this novel in exchange for an honest review.